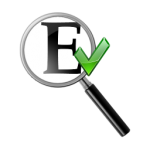 Proof summaries are automatically generated by Evidentia using the information gathered when you input the claims made by each source. The proof summary makes it easy to view all of the sources associated with a single supposition so that you can evaluate it in light of all of the information you have gathered. Each claim is broken down into direct (states the claim), indirect (the claim is implied), or negative (the claim is based on the absence of information in a source, such as a census without a person in the household) as well as primary (the person recording the information was there when the event happened), secondary (the person recording the information received it second or third hand), or undetermined (it isn’t known whether the source is primary or secondary), which helps you to come to a conclusion that you can back up with reliable evidence. 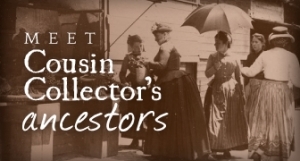 Based on the information given in the censuses combined with the date on the death certificate and the age on the marriage licenses, a birth date of 1848-1849 for Theodocia Ann Giles is most likely. The most reliable census data would be that which she answered herself when she was the head of household, assuming a neighbor did not provide the responses, so 1848 is the most likely year of birth. The source of the birth date of 1846 on the headstone is unclear at this time but is out of line with all of the other evidence. It is likely that with both of her husbands dead, no birth certificate, and her incarceration for over a quarter of a century at the Arkansas State Hospital where she died, that no one in Hope, Arkansas, knew her actual birth date for the gravestone. 10 assertions from 10 sources were considered in evaluating this claim. The 1850 Census – GILES – Cite asserts that Dozier Giles is 2yo in 1850. The source reviewed was an Original Record. It is indeterminable whether the information being considered is Primary or Secondary information. The evidence supporting the claim is considered Indirect (meaning the evidence is implied or circumstantial). Inferred DOB – 1847-1848. Dozier Giles would have sounded like Docia Giles to a census taker (Theodocia Giles) and the dates match with other evidence for her birth. The head of household listed is Singleton Giles. The age indicates that her birth date would have been in 1847-1848. The 1860 Census – GILES – Cite asserts that Dashia Giles is listed as a 12yo female in 1860. The source reviewed was an Original Record. It is indeterminable whether the information being considered is Primary or Secondary information. The evidence supporting the claim is considered Indirect. Inferred DOB – 1847-1848. 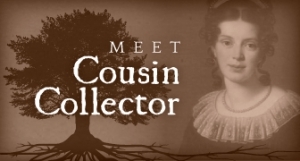 Dashia Giles would have sounded like Docia Giles (short for Theodocia Giles) to a census taker and the date is in line with other evidence for her birth. The head of household listed is Singleton Giles. The age indicates that her birth date would have been in 1847-1848. The 1880 Census – HINTON – Cite asserts that T.A. Hinton is a 31yo white female living in Spring Hill, Hempstead, Arkansas, and is Lovett Hinton’s wife in 1880. Inferred DOB – 1848-1849. Other records indicate that Theodocia Ann Giles married Lovett Hinton in 1866 in Hempstead, Arkansas, so T.A. Hinton is likely Theodocia Ann Giles and the dates match with other evidence for her birth. The age indicates that her birth date would have been in 1848-1849. The 1910 Census – TA BOYETT – Cite asserts that T.A. Boyett is a 61yo white female that was born in the US. The source reviewed was an Original Record. The information is believed to be Primary (meaning the person providing the information was a knowledgeable eyewitness or participant in the event). The evidence supporting the claim is considered Indirect. Inferred DOB – 1848-1849. Other records indicate that Theodocia Ann Giles married Thomas Boyett in 1888 in Hempstead, Arkansas, after the death of Lovett Hinton, so T.A. Boyett is likely Theodocia Ann Giles and the dates match with other evidence for her birth. The age indicates that her birth date would have been in 1848-1849. The GILES Theodocia Headstone – Cite asserts that Headstone claims Docia Giles Hinton was born 1846. The source reviewed was a Derived Record, introducing the risk of copy errors. The information is believed to be Secondary (meaning the person providing the information received that information second hand, from another person or work). The evidence supporting the claim is considered Direct (meaning it adequate to answer the question directly). Stated DOB – 1846. The information is from a photograph of the headstone. Theodocia Giles had not lived in Hope, Arkansas, for over 25 years when she died and both of her husbands were dead by that time. The state hospital where she died was unlikely to have provided detailed information, although the death certificate signed by the hospital does not line up with this date. The TA Boyett Death Certificate – Cite asserts that T.A. Boyett was 84 years old when she died with an unknown birth date. The source reviewed was an Original Record. The information is believed to be Secondary. The evidence supporting the claim is considered Indirect. Inferred DOB – 1849. The information is from an official document, but since TA Giles was in a state mental facility for the last 26 years of her life, it is unknown how accurate information about her birth is since no family is listed on the notification. The age listed on the death certificate calculates to a birthdate of 1849, which is in the right range for birth date. The GILES Theodocia – Birthdate calculation – Cite asserts that Theodocia Giles birthdate is between 6/14/1848 and 10/18/1848. The source reviewed was a Derived Record, introducing the risk of copy errors. The information is believed to be Secondary. The evidence supporting the claim is considered Indirect. Inferred DOB – 1848. Census takers were instructed to base census data on the date listed on the census but often the information is based on the date of enumeration instead. This information calculates a possible date of birth based on census data using the date of enumeration which may or may not be accurate. The 1900 Census – BOYETT, HINTON – Cite asserts that Theodocia Boyett is a white female who was born in 1848 and is the head of her household in 1900. Stated DOB – 1848. Other records indicate that Theodocia Ann Giles married Thomas Boyett in 1888 in Hempstead, Arkansas, after the death of Lovett Hinton, so T.A. Boyett is likely Theodocia Ann Giles and the dates match with other evidence for her birth. The birthdate of 1848 is consistent with the other sources for her birthdate. As head of the household, if she answered the census questions then these dates would be more reliable than others, but there is no way to know if she was the one the enumerator spoke to. The GILES & BOYETT Marriage License – Cite asserts that Mrs. T.A. Hinton was 40yo on 3 Nov 1887. Inferred DOB – 1847. May have been provided by Thomas Boyett and not Theodocia Giles. The GILES & HINTON Marriage – Cite asserts that TH Jibes was 17 on 22 Feb 1866. The source reviewed was a Derived Record, introducing the risk of copy errors. It is indeterminable whether the information being considered is Primary or Secondary information. The evidence supporting the claim is considered Indirect. Inferred DOB – 1849. The original document is too faded to read easily so the information is taken from the transcription. The age of 17 in Feb of 1866 is in line with a birth year of 1849. The age could have been provided by LT Hinton who may not have had accurate information. 1. 1850 U.S. Census, Carroll, Georgia, Carroll, Population schedule, Page 64B, Line 28, dwelling 891, Dozier Giles; digital image, ancestry.com (Digital image : accessed 2014); citing NARA microfilm M432, roll 63. 2. 1860 U.S. Census, Spring Hill, Arkansas, Spring Hill, Population schedule, pg. 795, lines 5-12, dwelling 726, Dashia Ann Giles; digital image, ancestry.com (Digital image : accessed 2014); citing NARA microfilm M653, roll 42. 3. 1880 U.S. Census, Spring Hill, Arkansas, Population schedule, enumeration district (ED) 105, Page: 331, lines 46-50, dwelling 210, family 212, Hinton; digital image, Ancestry.com (http://www.ancestry.com : accessed 2014); citing NARA microfilm T9, roll 46. 4. 1910 U.S. Census, Pulaski County, Arkansas, Population schedule, enumeration district (ED) 0135, page 5B, line 58, T.A. Boyett; digital image, Ancestry.com(http://www.ancestry.com : accessed 2014); citing FHL microfilm 1374075. 5. Find A Grave, Database And Images (Http://Findagrave.Com : Accessed 23 Oct 2014), Memorial Page For Theodocia Ann Giles, Find A Grave Memorial No. 123158622, Citing Macedonia Cemetery, Hope, Hempstead, Arkansas. 7. 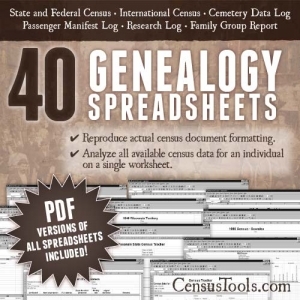 Sexton, Sean, FamThings.com (Online calculator: http://www.famthings.com/census/default.aspx, 24 Oct 2014), Calculated birthdate for Theodocia Ann Giles based on enumeration dates, Citing: U.S. Census(es) for 1850, 1880, 1900, 1910, 1920. 8. 1900 U.S. Census, Hope, Arkansas, Population schedule, enumeration district (ED) 44, page 4B, lines 62-66, dwelling 74, family 75, Theodocia Boyett; digital image,Ancestry.com (http://www.ancestry.com : accessed 2014); citing NARA microfilm T623, roll 60. 9. Arkansas, County Marriages, 1837-1957, Hempstead, Arkansas, “Thomas Boyett and Mrs. T.A. Hinton,” 03 Nov 1887; online image, Hempstead, Arkansas, United States; FHL microfilm 1005879, FamilySearch.org (https://familysearch.org/pal:/MM9.1.1/N9MY-2M6 : 15 Sep 2014). 10. “Arkansas, County Marriages, 1837-1957,” index and images, FamilySearch (https://familysearch.org/pal:/MM9.1.1/N97S-5XX : accessed 25 Oct 2014), L T Hinton and T H Jibes, 22 Feb 1866; citing , Hempstead, Arkansas, United States; FHL microfilm 1006739.